Integrate My School, Integrated Education Fund. Indigenous cadetship: where a young Australian will join the team in a paid role developing professional skills, as well as travelling to Dublin for work experience at Trinity College. 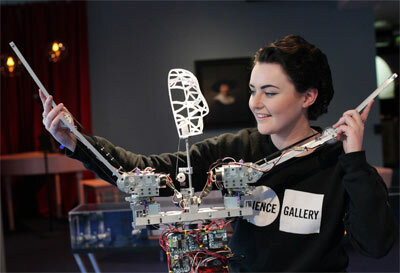 Regional schools outreach: where a class of students from disadvantaged areas in Victoria and Dublin will travel to their respective Science Gallery to spend a day on campus. Consistently achieved a retention and Year 12 completion rate of more than 90%. The GO Foundation was founded by former Sydney Swans AFL players Adam Goodes and Michael McLoughlin. 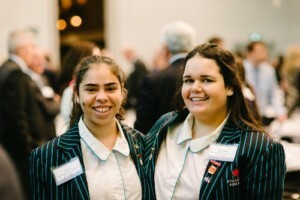 With around 85% of Indigenous students in public schools GO are playing a vital role in making the education of young Indigenous Australians a more fulfilling and enjoyable experience and is proudly supported by the Australian Young Leaders’ fundraising efforts. The Ireland Funds Australia also received a donor advised grant from Ruth Tarlo for the third Hyman Tarlo Scholarship in Law for 2017/2018 at the Law School of Trinity College. First opened in 1995 by a parents group committed to providing a cross community, post primary school for local children aged 11-19, the demand on Drumragh today is so high it is educating 650 children in a building designed for 580. As a growing school with many needs Drumragh struggled to replace approximately 50 computers, the provision of which is extremely important for the schools ICT learning resources. With the help of the Ireland Funds Australia, Drumragh can now provide this much needed ICT resource. 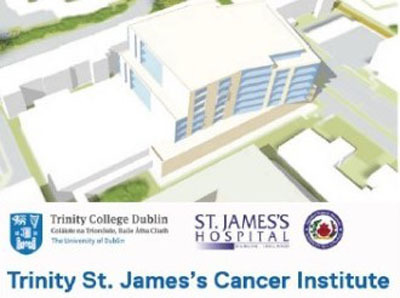 The Trinity St James’s Cancer Institute aims to consolidate cancer activities and expertise in Ireland in a dedicated facility within the next 5-7 years. It intends to become an internationally accredited comprehensive cancer centre. With a project costs at €150 million the Institute welcomes partners in philanthropy to secure the delivery of this unique project with international benefit, The sources of support for the plan are expected to be a combination of philanthropy (33%), self-generated and public funding. 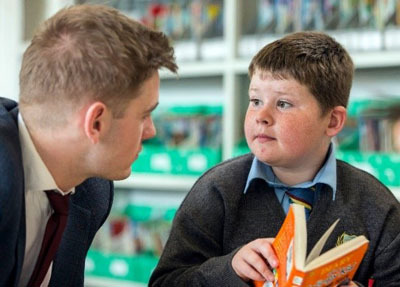 Suas Literacy Support Programme partner with designated disadvantaged (DEIS) schools across Ireland to deliver literacy support to 8 to 14 year olds who are struggling with reading and writing – the building block of almost all future achievements. • Reach 1,320 young women in 22 schools across Ireland. Currently only 7% of schools are integrated in Northern Ireland despite polls showing 80% support for integration. All schools in Northern Ireland are entitled to become integrated, provided a majority of the school community democratically votes in favour of it. 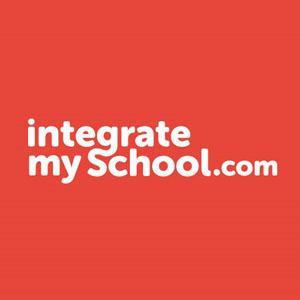 Launched in February by the iconic Northern Irish actor Liam Neeson, Integrate My School is a one-stop-shop digital platform containing all the information parents require. The platform explains the process of transformation succinctly and allows parents to register their school for it. Transformation is the next exciting and important step in the integrated education movement and we are very proud to be part of that. The unique point of difference of the Solas Project is its long-term, intensive intervention. The ‘Step Up’ teen mentoring programme provides 1:1 support to 60 students transitioning from primary to secondary education. Solas see a significant amount of young people dis-engaged with their education in secondary school resulting in them leaving with next to no qualifications. Funding from the IFA will allow additional places in “Step Up‘ which currently has a number of young people on the waiting list. The University of Melbourne has secured the rights to Australia’s only node in the highly successful Science Gallery International network, founded at Trinity College in Dublin. Inspired by the innovation at the inaugural Science Gallery in Dublin, The Ireland Funds Australia are delighted to partner with Science Gallery Melbourne for their first pop-up exhibition, BLOOD as their official opening night partner on 2 August 2017. When it opens in 2020, Science Gallery will be a public-facing, dynamic and engaging space to inspire young adults into the STEM workforce. With 75% of future jobs in Australia expected to require STEM qualifications, Science Gallery programs will spark the minds of tomorrow’s innovators. The AIEF is a private sector led non-profit organisation focused on empowering Indigenous children to build a future through quality education and careers at Australian schools, universities and companies. 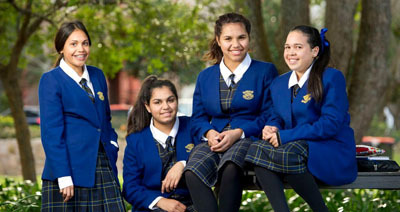 Together with the AIEF the Ireland Funds Australia is committed to making a combined contribution of $800,000 for 80 Indigenous scholarship places at four leading Australian Schools by 2020. 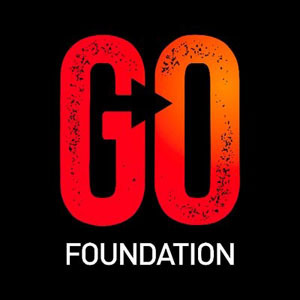 The Go Foundation in Australia was founded by former Sydney Swans AFL players Adam Goodes and Michael McLoughlin. Go partners with the AIEF to offer day scholarships to students in public schools. This project is proudly supported by the Australian Young Leaders fundraising efforts. 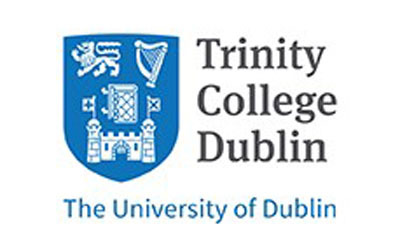 The Ireland Funds Australia received a donor advised grant from Ruth Tarlo for the third Hyman Tarlo Scholarship in Law for 2017/2018 at the Law School of Trinity College. In May 2016 The Australian Ireland Fund Board agreed to continue their flagship support of Suas and Solas Project and increase their small grant support of The Soar Foundation to Flagship support. They also provided donor advised gifts to Sensational Kids in Ireland and the Hyman Tarlo Scholarship at Trinity College. The strategy is to support fewer projects with large flagship grants to provide more impactful support for these projects. 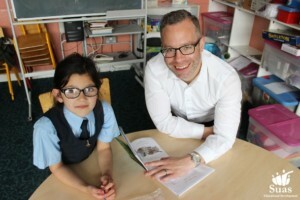 Since 2011, SUAS has provided structured literacy support to children aged 8-14 years old at DEIS schools, connecting struggling children with volunteer mentors from local colleges, companies and communities to work one on one. These mentors give children the extra boost they need—reading help and practice that many might not get at home, and the confidence and self-esteem that this extra attention brings. With the support of The Australian Ireland Fund, Suas was able to reach 708 children as of March 2016. “I greatly appreciate the support of the Irish community in Australia and the difference you are making for children around Ireland. So many special moments and so much life-changing support has happened with your help,” says Allison Aldred, CEO, Suas Educational Development. 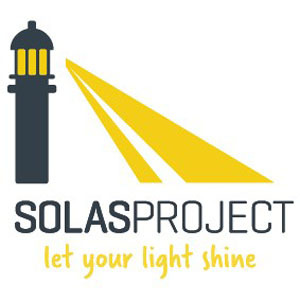 The unique attribution of the SOLAS PROJECT is its long-term, intensive intervention. They are in a position to hold the support for a young person from age 6 up to 18. This consistent presence in their life helps Solas to build a trusting, solid relationship but also challenge them to stretch to reach goals. The demographic they serve are from some of the most disadvantaged areas in Dublin. Solas run 7 program areas including; After Schools, Teen Mentoring, Skills Development, Prison Programme, Solas Business, Solas College and Solas Sports. They work to improve the character, motivation and self-worth of each young person they work with, in every program. THE SOAR FOUNDATION inspired by Irishman Jim Stynes and the Reach Foundation of Melbourne, creates and delivers early intervention, emotional well-being programmes to young people aged 12-18 across Ireland. Soar works within communities to move services to young people beyond a discussion of mental health and toward facilitating the development of emotional wellbeing and resilience by encouraging young people to see value in their individuality, to begin to set goals, to step out of their comfort zones and to realise their full potential. In 2015 Soar worked with 5,817 young people across Ireland and over 14,000 young people ever since their very first workshop in 2012. The Australian Ireland Fund received a donor designated grant of $5,000 from The Lansdowne Club for Sensational Kids. Sensational Kids benefits 1 in 4 children in Ireland who have special educational needs, such as autism, Down Syndrome, dyslexia and dyspraxia. By providing a range of clinical and educational services, it benefits children of all ages and all abilities to enable them to develop to their full potential. Ruth Tarlo donated $10,000 to TRINITY COLLEGE to continue the Hyman Tarlo Scholarship which she created in her late husband’s honor. scholarships to Indigenous students. The AIEF is a private sector led non-profit organisation focused on empowering Indigenous children in financial need to build a future through quality education and careers at Australia’s leading schools, universities and companies. The scholarships are undertaken at Marist College, Ashgrove and St Peters Lutheran College, Indooroopilly in Queensland and Kincoppal-Rose Bay School and St Catherine’s School, Waverley in New South Wales. A fundraising dinner supported by the Irish community was held by the AIF in Sydney in September 2014 with Guest of Honour Mary McAleese. The money raised will contribute to the continuation of Irish Studies program at UNSW. • From Dr Stanley Quek to support Biosciences Development for the School of Medicine. • From Ruth Tarlo for the inaugural Hyman Tarlo Scholarship in Law for 2015/16 at the Law School of Trinity College. The scholarship is in memory of Ruth’s late husband, Hyman Tarlo, who attended Trinity during the 1940’s. Received a donor advised gift from the Lansdowne Club of Australia. They provide occupational therapy-led after school activities and holiday camps for children with intellectual disabilities. Ireland’s major centre for elective orthopaedic surgery also received a small donor advised gift. Solas Project’s vision is to see an Ireland where all children and young people truly know their self-worth and can take full advantage of their potential. They provide a range of innovative interventions that equip and empower young people to live life to the fullest and participate in society. Through programs of learning, mentoring, personal and social development, Solas supports young people to create a brighter future for themselves and their communities. Solas works to address the imbalances that contribute to certain children and young people in Ireland growing up at a socio-economic and/or educational disadvantage. They have been extremely successful and grown rapidly from servicing 11 girls in an afterschool club in Basin Lane flats Dublin 8 in 2007–to 2015 where they are running 7 programs serving over 500 young people in the community on an annual basis. the australian ireland Fund is delighted to extend support in 2015 to enable solas to reach an additional 250+ children. In Ireland, children who don’t learn to read, write and communicate effectively at primary school are more likely to leave school early. They are more likely to have emotional and physical problems. They are then more likely to be unemployed or be in low-skilled jobs, poverty or even prison. Suas wants every child to have the education, future and opportunities that so many people take for granted. The Suas Literacy Program works with those who are furthest behind, in the most disadvantaged schools (Deis schools). Children are paired one-on-one with Suas reading mentors in an environment where it’s okay to make mistakes. Suas connects them with education and with positive role-models. The Suas approach makes a big difference in literacy and confidence. continuing support from the australian ireland Fund in 2015 will provide 4 months mentorship for 600 children in 40 schools. Soar is a 100% independently funded collective movement with no government support which believes that there is greatness within all young people. Inspired by Jim Stynes and the Reach Foundation of Melbourne, Soar creates and delivers early intervention, preventative, wellbeing programs inside and outside of the school system for young people aged 12 to 18 years from all backgrounds throughout Ireland. Their workshops empower young people to thrive, believe in themselves and fulfil their true potential. The Australian Ireland Fund is delighted to assist Soar to kick off the development of a girls program. Designed specifically for girls aged 15-17, the program will be delivered in and outside the school system encouraging young women to explore and question gender ideas and limitations, expectations, and the influence of mass media. A space will be created in which girls can develop the tools to improve self-confidence and emotional well-being through peer-to-peer discussion and support. The aim is to inspire the next generation of young Irish girls to fulfil their true potential. the australian ireland Fund and our supporters will change many lives through soar. The Australian Ireland Fund is continuing its support of Barnardos for the second consecutive year. Barnardos provides an early year’s service offered to children aged 0 -7 living in areas of high disadvantage. Typically they are referred to Barnardos because there are child protection and welfare concerns, or developmental delay, speech and language delay, parental addiction, parental mental health and parental discord. The AIF support will enable this programme to become the leading national literacy initiative and increase the literacy levels of 1,475 8-14 year olds from disadvantaged communities in Louth and Westmeath, giving them the potential to grow into young adults who have educational opportunities equal to that of their peers from non-disadvantaged schools. Junior Achievement is a quality assured entrepreneurship education course for 685 students from Cavan, Monaghan and Sligo. It aims to encourage students to stay in school and inspire students to maximize the opportunities that their education provides. Primary and secondary level students who participate in early-stage entrepreneurship education make better higher education choices, have higher rates of employability and are 4-5 times more likely to start their own business. 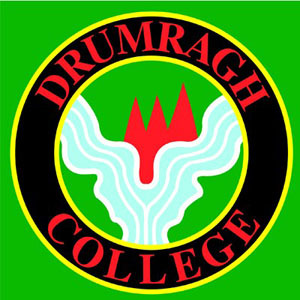 Drumragh Integrated College in Omagh was opened in 1995 by a parents’ group committed to providing a cross-community, post-primary school for local children aged 11-19. Drumragh is the only integrated post-primary school in the Omagh area. The enrolment number and classroom accommodation available are too low to cater for the demands of parents and their children. Consequently, a significant number of children – estimated to be between 30 and 50 each year – are being denied the integrated education they want in their school of first choice. The Darndale Belcamp Integrated Childcare Service (DBIC) is the largest community childcare centre in Ireland, catering for 267 children aged 0-12 years in severely disadvantaged communities. The centre is designed to give the children every chance to get a good start in life through high quality, safe, affordable and inclusive childcare aimed at promoting the physical, emotional, social and educational wellbeing of all children. DBIC provides vulnerable children learn and play in a safe environment where they eat healthy breakfasts and lunches, participate in a school readiness programme and benefit from an active after-school group that promotes positive behaviour and play. It is the only Community Childcare Provider or crèche in Ireland with a Project Worker on site. Having a Project Worker on site and immediately available for any child and their family is fundamental to ensuring that the intervention can begin as soon as possible.The Centre in the Darndale community has a particular need for this service due to the fact that their children are more likely to witness substance misuse, violence, and other traumatic events. In 2012 alone 11 children at Darndale lost a parent to overdose or suicide. University of Chicago’s Economic Professor James Heckman’s research has shown that ability gaps emerge between advantaged and disadvantaged children early in life but that investing in early interventions for disadvantaged children lead to real improvements in school readiness and longer-term success. Project workers at Darndale will work with some children for several years. Their cases are reviewed quarterly with staff, parents and a Darndale Project Worker. There are also children in the wider Darndale Childcare Centre that are linked with a Project Worker, who is able to provide advice to the child’s core staff team on how best to support him or her in the classroom, or work with the child either individually or in a small group to tackle a wide range of issues that include Emotional, social or behavioral problems or trauma leading from sexual, emotional or physical abuse. Any child over the age of 2 ½ years may visit the project worker and in addition to support for children, the Project Worker will provide advice for their parents on working with the child to address the issue in a positive manner. Barnardos is Ireland’s leading children’s charity. Each year, Barnardos works with over 6,300 children and their families, providing direct services, advice and support through more than 40 centres based in some of the most disadvantaged communities in Ireland for children and families living in the Loughlinstown area. The work of Barnardos Loughlinstown Family Centre is driven by children’s welfare. The centre is located in the heart of the community. The Loughlinstown area has long been classified by the government as having high levels of disadvantage. Key matters of concern to the Loughlinstown community include unemployment, housing, environmental decay, substance abuse, lack of recreational facilities and safe spaces to play. There are high levels of young and lone parent families and a high level of isolation for parents and children. Many of the parents are in debt to local money lenders and in some cases this has spiralled out of control. The Centre offers a range of needs led, outcome focused services to children and families, Afterschool Group, Individual Work for children and parents, Parents and Toddler Group. To ensure that the effects of poverty don’t contribute to a lifetime of alienation from society, early and effective intervention is essential. Established in 2002, DePaul Ireland is a charitable organisation working the Republic of Ireland and in Northern Ireland. DePaul Ireland works with those who are considered the most marginalised in the homeless population, supporting men, women and families with complex support needs. Nobody is automatically excluded DePaul Ireland’s services that aim to help clients fulfil their potential and move forward towards a more positive and independent future. 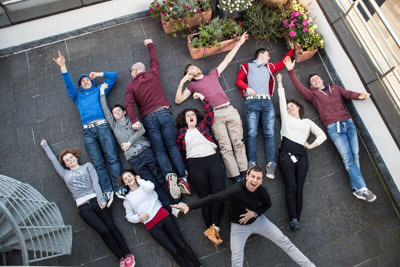 DePaul Ireland is also part of DePaul International, a group of charities working to　support homeless and　marginalised people　around the world.Rendu Apartments is a service that has been reconfigured due to the lack of accommodation available for women and women with children who are homeless. Many of the women referred present with complex support needs and have been excluded and experienced homelessness for many years. From experience working with women who are homeless it is evident that they are often very vulnerable and need support to deal with a complexity of issues that they experience including poverty, violence, neglect, substance misuse, housing instability, difficult family situations, problematic childhood experiences, child protection issues, low self-esteem, mental health issues and experiences of state care. Their experiences of homelessness differ to those of men making it vital that DePaul Ireland provide gender specific responses to address their homelessness. Rendu Apartments provides an environment of stability with one-to-one support on issues like addiction, physical and mental health, child development, child protection and resettlement, living skills, parenting skills and housing. By providing 19 apartments of varying sizes to accommodate families of differing sizes it will enable women and their children to live in safe and comfortable surroundings, with a regular routine and a permanent base. Rendu will also provide supported accommodation to pregnant women, enabling children to be born into a home rather than homelessness. Longer-term, DePaul Ireland anticipate that the opening of this service will reduce the number of women and children who are homeless. This project is supported through a donor designated grant by the Lansdowne Club. works to enable children aged 11-16 years at Stages 3 to 5 of the Code of Practice who are presenting with significant social, behavioural and emotional difficulties to remain within their chosen school by providing high quality outreach and off-site support in partnership with the home, the school and other agencies. The project supported by the Australian Ireland Fund will assist one post primary school in the 5% most disadvantaged wards in Belfast to provide earlier and targeted intervention to children who are presenting with social, emotional and behavioural difficulties. Examine stereotypes and prejudice and how they affect society. Consider the impact of conflict on society, especially in local communities. Motivate young people to consider what factors influence a neighbourhood and demonstrate the role young people can have in regenerating communities in post-conflict settings. Promote respect and value diversity through active citizenship whilst participating in a ‘live’ community development project. The Australian Ireland Fund is delighted to support this initiative. was set-up to meet the social, economic and environmental needs of people living in the Newbuildings area. They provide access to a range of services and facilities including youth club, older people’s services, life-long learning programme, health and physical activity programme, access to advice services and village enhancement programmes. The project supported by the Australian Ireland Fund is aimed at engaging young men between the ages of 15-18 who are in danger of/or have left school with little or no qualifications and who have the possibility of becoming involved in anti-social behaviour and underage drinking. Conway Youth Centre aims to inspire the people of the Greater Shanki ll to realise their potential, to contribute positively to the communities in which they live and to discover meaning and direction for their lives. The project supported by the Australian Ireland Fund is a programme that was designed by young volunteers of Conway Youth Centre following a recent review of their work with them. Its aim is to create a programme that will develop, support and equip young volunteers, both actual and potential, as they seek to give something back to their communities through the means of volunteering. is a registered charity set up in 1982 and has been at the forefront of community relations education in schools in Northern Ireland for 29 years. Over this time CRIS has worked with hundreds of schools across all sectors (Nursery, Primary and Post Primary). Working in close partnerships with schools, CRIS has developed needs based Community Relations programmes that involve work with pupils, teachers, non teaching staff, parents and local community. Anti-sectarianism and anti-racism programming has been the core of their work. Community Relations in Schools (CRIS) proposes working in strategic partnership with the Centre for Preventing Hate (CPH) to bring their collective experience and expertise to delivering a student-centered anti-hate programme called The Northern Ireland Unity Project to 8 schools in and around Belfast, Northern Ireland. is the oldest Boxing Club in Belfast. They currently deliver a range of programmes that range from anti-bullying initiatives, work with men to improve their fitness and to combat self harm and suicide, provide women’s keep fit classes and maintain a boxing club that supports young men and women and promote the ethos of self help and volunteering. The project supported by the Australian Ireland Fund intends to deliver a midnight boxing programme to young people to provide an alternative to engaging in anti-social and risk taking behaviours. The programme is aimed at young people at risk and is intended to raise their self esteem, confidence and fitness and to combat self destructive behaviour and provide an alternative to drinking and violence. is a community-based organisation which has been set up to address the lack of provision within elements of community life in Lurgan and Craigavon, areas characterised by pockets of deprivation, high unemployment, family breakdown, sectarianism, paramilitary violence and fragmentation and division between communities. The project supported by the Australian Ireland Fund provides innovative and structured cross community programmes that respond to the current needs of young people. It also offers a safe shared space for young people from Catholic and Protestant backgrounds to mix and have meaningful dialogue that will lead to a reframing of the conflict in Northern Ireland. is in Belfast and provides an integrated learning environment which seeks to develop well rounded individuals, by encouraging minds and promoting self respect and respect for others. Whilst mainly Christian, the school strives to create a community which is fully inclusive and values the active contribution of all involved with the school. Forge has been expanding in recent years to meet the growing demand for integrated education in the community. The Australian Ireland Fund supports FIPS by providing funds to secure additional classroom accommodation needed to meet the increasing demand for places. first opened its doors in 1935 as a public elementary school. It transformed to integrated status in 2003 and it’s school moto is ‘celebrating individuality and diversity’. The school has experienced growth over the last few years since its transformation and the current school enrolment is just over 200 pupils. The school actively embraces the principles of integrated education, bringing together not just pupils from the two main religious traditions in Northern Ireland but also cultures and traditions from around the world, developing knowledge, understanding, appreciation and respect. The project the Australian Ireland Fund will support is a dedicated ICT space, providing online learning and research for pupils. The featured student in this article, Tarryn, is one of over 100 participants in the AIEF Mentor Program, which matches Indigenous students one-on-one with an adult mentor from a successful corporate background to build long-term and trusting relationships. The Mentor Program commences during the final years of secondary school and the relationships are encouraged to continue after the students leave school and transition into adulthood and successful careers of their own. This Program makes a huge difference to the students and is highly regarded by both them and their mentors. The Australian Ireland Fund sponsors 8 of the AIEF mentorships. is a leading voluntary youth development agency, working with disadvantaged young people to enable them to be active and equal citizens whose voices are heard, respected and valued. It engages with 2,500 young people each year in developmental work and has a membership of 156 further affiliated youth groups. Past grants have assisted YouthAction to build a dynamic new youth facility in a neutral location in Belfast City Centre to provide a range of opportunities for young people at risk of social exclusion. The Australian Ireland Fund was recognised through the naming of one of their training rooms. The Australian Ireland Fund grant is currently assisting with YouthAction Leadership Programme Youth Apprenticeship Scheme. is situated in the town of Ballynahinch in County Down. Drumlins began in the grounds of Cedar Integrated Primary School in Crossgar in September 2004 with 12 P1 pupils. It then moved in September 2005 to Ballynahinch to a disused shirt factory with no playground space. The school had to move again in January 2008 to a larger space to accommodate its expansion. The Australian Ireland Fund and Sir Warwick Fairfax Trust recently provided the school with a generous grant to invest in resources to help develop their playground. The school has grown and now has an amazing 100 pupils and 22 teaching and non-teaching staff but remains on a temporary site without a permanent building. This year, the Australian Ireland Fund and Sir Warwick Fairfax Trust assisted in the establishment of a Resource Unit at Drumlins Integrated Primary School through funding towards an additional mobile classroom. The mobile classroom is currently being used as a much needed classroom, and so much more. Drumlins IPS now boasts a Breakfast Club, a Fun Club for P1 to P3 pupils and piano classes. The school has also been able to forge links with other schools and organisations in the community: they host music and singing coaching with Assumption Grammar School, they welcome peripatetic outreach teachers from Beechlawn Special School and Knockmore Speech and Language Unit and, Drumlins’ teachers, pupils, parents and volunteers have also worked with W5 Road Show and the Replay Theatre Company to put on shows and plays in the mobile classroom for the local community. In addition, the additional classroom provides enough space to hold school assemblies three times a week. It also provides an excellent area for displaying information and the children’s work for parents. Parents even get in on the act – the school keeps a notice board in the mobile for parents to communicate with one another. For example, they post ads for childminding, household items for sale and community events – making the mobile classroom a hub for bringing people together from all over the area. The new classroom will provide additional teaching space for one class (P6 class, 17 pupils). They currently only have four teaching spaces and limited space for additional activities. As of September 2009, the school required five teaching spaces so that pupils do not have to be put in composite classes or divide rooms to accommodate two classes. This space will ensure staff are working in a good teaching environment and provide a positive and suitable learning environment for the children and will instill confidence in parents. is an Australian initiative with two Soundhouse Outreach kits having been placed in Ireland, North and South such as The Nerve Centre in Derry in Northern Ireland, 174 Trust in Belfast and Hazelwood Integrated College. The Outreach Kit is a Plug and Play Soundhouse in a box. Initially, it was created for those too geographically removed to visit a Soundhouse, or for whom travel can be difficult or expensive. The Kit allows people to compose, create and communicate using contemporary technology, however isolated they may be. There are now seven Soundhouse bases in Ireland such as The Nerve Centre in Derry, The 174 Trust in Belfast, Hazelwood Integrated College, Belfast and The St. John of God, Dublin – to name a few. Through their mobility and the flow-on of teacher understanding and interest, the spread of the Soundhouse music experience, especially with the Special Access model, has been extraordinarily positive and immensely rewarding. There is no doubt that music plays a powerful role in bringing individuals and communities together. The success of the Australian Ireland Fund’s investment in Soundhouse is recurring evidence of this global reality. We are pleased to support this initiative that is touching so many lives. was founded in 1996 in response to a request from the local Health and Social Service Board to provide a counselling/ psychotherapy service, in the voluntary sector, for those in dire need of psychological and emotional assistance in order to deal with the trauma of ‘the Troubles’. In the aftermath of the Omagh bomb 1998, the services provided by Tara, the only professional provider of such services in Omagh at the time, proved to be invaluable. Past grants have assisted Tara to complete the extension and refurbishment of the building. The tenth anniversary of the bomb has stirred buried trauma in the lives of many who were most severely affected by that tragedy. Some have chosen to deal with this pain by pursuing a civic action to bring the perpetrators to justice. The vast majority have not gone this route. In the intervening ten years they have attempted to put their lives together and move on. Some availed of therapy of one kind or another either through voluntary/community services such as the services offered at Tara or those offered by the statutory sector. The ubiquitous focus on the tenth anniversary has had the effect of opening old psychological and emotional scars for many. Tara is experiencing a huge increase in the applications for counselling and complementary therapy from this group of victims of the event. Examples are: a young couple, engaged to be married at the time of the bomb, who went ahead with their plans but are now dealing with things like the death of a little two year old who was to have been a flower girl at the wedding and the groom’s guilt at the memory of the fact that this wee girl was in his arms as he walked through the carnage on the day of the bomb. She died in hospital from her wounds shortly afterwards; another young couple who also went ahead with their planned marriage despite the bride’s loss of her two eyes in the tragedy; her mother was their strongest support throughout the early years – this mother has recently had to give up work to cope with her post traumatic stress disorder. The list goes on…. This year the Australian Ireland Fund grant will assist Tara to cope with the extra demand for their services at this time. since 1991 has been bringing together Catholic and Protestant children, schools and their communities to develop mutual respect and understanding. At Speedwell, children work and play together and learn about a shared environment. Under Eamon McClean they work through the medium of Environmental Education, learning to respect each other and the world we share. Speedwell is based in Mid-Ulster, in a region known as Murder Triangle and cares for children from communities which are bitterly divided by sectarian violence and distrust. This year, the Australian Ireland Fund grant will assist Speedwell to develop partnerships between Catholic and Protestant children – both able bodied children and those with physical and learning disabilities. Speedwell’s unique programmes bring Catholic and Protestant children and children of other faiths together to learn, to work and to form lasting friendships, and to develop the vital skills necessary for peace to flourish in Northern Ireland. was established in 1982, and the property 174/176 Antrim Road purchased which became the focus of a work dedicated to tackling many of the problems confronting the local community and addressing the real needs of those living in a materially and socially disadvantaged area. Past grants have enabled the repair and refurbishment of the main activities hall, now named Australia Hall. The 174 Trust is a Christian Community Development Organisation located in the most divided and disadvantaged area of North Belfast and is committed to “Building peace & promoting reconciliation”. This year the Australian Ireland Fund grant will assist in developing facilities at the Duncairn Complex, a “shared space” which will be used on a day to day basis by Protestants, Catholics and others, and where prejudice & sectarianism are challenged and people are changed. The Rock Challenge is an Australian initiative, is a drug and crime prevention vehicle in the form of a performing arts competition for secondary schools. The focus of this friendly and vibrant competition is on young people leading healthy lifestyles and being their best without the need for tobacco alcohol or other drugs. The event was established in the UK in 1996, and at that time involved 11 schools with 800 participants in Portsmouth. It has grown to the extent that in 2009, the UK Rock Challenge® consisted of 9 primary school events, 31 secondary school/college events, 6 secondary school/college Regional Grand Finals and 1 National Grand Final. Over 23,000 young people took part throughout England, Scotland and Northern Ireland. The Australian Ireland Fund is proud to support this initiative. assists young people, parents and families, Catholics and Protestants, in strife-torn areas of Belfast by providing a place where those young people can meet to reconcile their often violent situations. In recognition of our support, NICE has named its facility in Belfast “Australia House”. NICE exists to promote reconciliation and understanding amongst young people and aims to provide a variety of opportunities for people to learn to respect and value the traditions and diversity that exists in the community. Through NICE programmes, ethos, core principles and values, NICE strives to foster an atmosphere where young people, staff and visitors are respected and valued and encourages people to develop positive relationships through many programmes which promote open dialogue in a safe environment. NICE continues to provide a very important first point of contact for many young Catholics and Protestants. Recent statistics showed that seventy nine percent of the young people with whom NICE works had never met a Catholic or Protestant before doing so through NICE. As Duncan Morrow, Chairman of the Community Relations Council, has said “There is still so much to do here in Northern Ireland to secure a lasting peace for future generations. Our experience over the years has taught us that everyone living in Northern Ireland regardless of class, creed, or ability needs time to reflect on the violence and separation this community has endured if peace is to be lasting. This work is needed more so now than any other time”. This year the Australian Ireland Fund grant will assist NICE to continue to reach more people through its “Citizenship in a Divided Society Programme” and its residential programme in Ballycastle. Portadown is a predominantly Protestant town which suffered heavily during ‘the Troubles’ in Northern Ireland. During the mid 90’s the town was brought into the world’s media spotlight due to a dispute between Catholic residents of the Garvaghy Road area of the town and the Protestant Orange Order. The dispute continues to this day and concerns an Orange Order parade down the road leading up to the 12th July Celebrations of the Battle of the Boyne. In 1989 a small group of parents from across the traditional divide came together with the aim of establishing an Integrated Nursery and Primary School to serve the Portadown area. Established in 1990, Portadown IPS has held a total school enrolment of approximately 220, year on year, while other schools in the area have seen declining enrolments. This year, the Australian Ireland Fund and Sir Warwick Fairfax Trust assisted in the development of the Multi Purpose Resource Unit at Portadown Integrated Primary School through funding towards the addition of mobile classrooms. With the additional space the mobiles have provided, it is now possible for the school to work towards growth and increase the number of integrated places available in the area. Principal Feargal Magee is in the process of applying for nursery places; if successful, the school will be able to accommodate a nursery class which will in time lead to double enrolments across the school. This would mean that the school could eventually take in more than 200 extra pupils! Currently, the mobile classrooms are being used to run an After School Care Programme, cross community activities and music clubs. Children with special needs are also benefitting from the quiet space. The school’s library is also now housed in the mobiles so that children taking part in the school’s Reading Partnership Scheme have the perfect environment for improving their literacy skills. Lisburn is the third largest city in Northern Ireland and this is the most recent school to join the integrated movement through transformation to integrated status. The present school building was opened in 1965 and is situated on a 25 acre site, which it shares with Fort Hill Integrated College. The present enrolment is approximately 200 children in Primary One to Primary Seven classes, with an additional 26 pupils enrolled in the full-time Nursery Unit. The school applied last year to transform to integrated status and Education Minister, Caitriona Ruane, announced the decision to approve the transformation to integrated status of Fort Hill Primary School in March 2009. This transformation will give parents a unique opportunity to avail of integrated education from nursery to post primary (3-18 years) accommodated on one campus, a first for Northern Ireland. This year, the Australian Ireland Fund and Sir Warwick Fairfax Trust have assisted with funding towards an additional mobile classroom to provide a newly transformed primary school that has been able to develop links with the college as well as better provide for the children’s learning and development. The additional mobile classroom provides a proper resource and classroom base for the school’s 30 pupils needing numeracy support, for 14 pupils requiring EAL support and it also provides a suitable quiet place for specialist teachers to work with children with peripatetic needs. All of this important work used to take place in shared classrooms and school corridors. In addition to our continuing vital support for reconciliation and integrated education in Northern Ireland, we are now also working to support important community projects in Australia, which has been so hospitable to the Irish. In so doing, we are using the experience we have gained working with divided communities in Ireland to assist reconciliation in Australia through the provision of quality education to disadvantaged indigenous young Australians. In association with the Australian Indigenous Education Foundation, headed by Mr. Andrew Penfold, we have been able to provide two scholarships in leading schools in Brisbane, one at Marist College Ashgrove and the second at St. Peter’s Lutheran College. We will also be providing two scholarships at leading schools in Sydney, one at Kincoppal-Rose Bay School, and a second school to be confirmed shortly. In addition to providing the scholarship support, we will provide mentoring and encourage young people in Ireland and in Australia to share their experiences of working to achieve reconciliation in their individual environments. Ballycastle CIPS transformed to integrated status in 2006 and now has over 124 children in the Primary and Nursery School. The Australian Ireland Fund supported the establishment of Lir IPS, the first integrated school in Ballycastle, which closed with the majority of children transferring to the transformed Integrated Primary. In 2007 the town’s Nursery School also moved onto the site of Ballycastle CIPS providing a very solid foundation for the School for years to come. In June, the School unveiled a new plaque charting the school’s history which includes the acknowledgement of the Australian and Sir Warwick Fairfax Trust’s support for Lir IPS. As part of this move and the ongoing expansion and development of the Primary School The Sir Warwick Fairfax Trust and the Australian Ireland Fund are assisting Ballycastle to create a new modern outdoor play facility for the Nursery and Foundation aged children, something sorely lacking in the School. Rowandale Integrated Primary School is the most recently established new Integrated Primary School in Northern Ireland. The school was opened in September 2007 and had 33 children as of September 2008. This new school is based in Moira near Lisburn, Co Down on a temporary site. Rowandale is growing fast and needs an additional accommodation for a library and resource area to benefit the children and staff. The Sir Warwick Fairfax Trust and the Australian Ireland Fund are supporting Rowandale to attain these much needed facilities. Now and going forward this unit will be dedicated and named in honour of the Sir Warwick Fairfax Trust and Australian Ireland Fund and the Ballycastle Controlled Integrated Primary School. YouthAction Northern Ireland is a leading voluntary youth development agency, working with disadvantaged young people to enable them to be active and equal citizens whose voices are heard, respected and valued. It engages with 2,500 young people each year in developmental work and has a membership of 156 further affiliated youth groups. Past grants have assisted YouthAction to build a dynamic new youth facility in a neutral location in Belfast City Centre to provide a range of opportunities for young people at risk of social exclusion. The Australian Ireland Fund was recognised through the naming of one of their training rooms. The Australian Ireland Fund grant is currently assisting YouthAction with its “Cross Community Leadership Programme”, a unique apprenticeship scheme targeting young people aged 18-24 who live in marginalised and economically disadvantaged communities, emerge as young community leaders to gain skills, qualifications and motivation to contribute to peace building in Northern Ireland. Drumlins Integrated Primary School was established in 2004 and was supported by the Australian Ireland Fund with an early years support grant which is proudly acknowledged and displayed on a plaque in the main hall. The school is thriving and as of September 2008 had 85 pupils based on a temporary site in Ballynahinch, Co Down. The school’s enrolments are being capped by the Dept of Education as it is growing faster than anyone would have predicted. The site is large and there is good space for the children to play outside however they lack equipment and have requested support to make the most of their play area. The Sir Warwick Fairfax Trust and the Australian Ireland Fund are supporting Drumlins with much needed indoor and outdoor play equipment. The school has school has soldiered on despite the odds and we would like to recognise them for that. Our support will be recognised by the school now and going forward. Rowallane Integrated College and Down Academy join forces to become Blackwater Integrated College. 69 new pupils were welcomed into Blackwater Integrated College in September 2008. The new College represents the coming together of two existing integrated schools, Down Academy and Rowallane Integrated College, to meet the increasing demand from parents for integrated education in the area and is seen as a major achievement. According to Paul Caskey, Campaign Director of Integrated Education Fund, “The Ireland Funds worldwide have played a massive part in this project, helping to contribute around 25% of the associated costs, and for that we are immensely grateful. I am confident we will see this as a massive return for investment.” The Australian Ireland Fund is pleased to have given $200,000 to this project in 2008.
is an Australian initiative with two Soundhouse Outreach kits having been placed in Ireland, North and South such as The Nerve Centre in Derry in Northern Ireland, 174 Trust in Belfast and Hazelwood Integrated College. The Outreach Kit is a Plug and Play Soundhouse in a box. Initially, it was created for those too geographically removed to visit a Soundhouse, or for whom travel can be difficult or expensive. The Kit allows people to compose, create and communicate using contemporary technology, however isolated they may be. There are now seven Soundhouse bases in Ireland such as The Nerve Centre in Derry, The 174 Trust in Belfast, Hazelwood Integrated College, Belfast and The St. John of God, Dublin – to name a few. Through their mobility and the flow-on of teacher understanding and interest, the spread of the Soundhouse music experience, especially with the Special Access model, has been extraordinarily positive and immensely rewarding. There is no doubt that music plays a powerful role in bringing individuals and communities together. The success of the Australian Ireland Fund’s investment in Soundhouse is recurring evidence of this global reality. We are pleased to support this initiative that is touching so many lives. was founded in 1996 in response to a request from the local Health and Social Service Board to provide a counselling/ psychotherapy service, in the voluntary sector, for those in dire need of psychological and emotional assistance in order to deal with the trauma of ‘the Troubles’. In the aftermath of the Omagh bomb 1998, the services provided by Tara, the only professional provider of such services in Omagh at the time, proved to be invaluable. Past grants have assisted Tara complete the extension and refurbishment of the building which is now complete. The tenth anniversary of the bomb has stirred buried trauma in the lives of many who were most severely affected by that tragedy. Some have chosen to deal with this pain by pursuing a civic action to bring the perpetrators to justice. The vast majority have not gone this route. In the intervening ten years they have attempted to put their lives together and move on. Some availed of therapy of one kind or another either through voluntary/community services such as the services offered at Tara or those offered by the statutory sector. The ubiquitous focus on the tenth anniversary has had the effect of opening old psychological and emotional scars for many. Tara is experiencing a huge increase in the applications for counselling and complementary therapy from this group of victims of the event. Examples are: a young couple, engaged to be married at the time of the bomb, who went ahead with their plans at the time but are now dealing with things like the death of a little two year old who was to have been a flower girl at the wedding and the groom’s guilt at the memory of the fact that this wee girl was in his arms as he walked through the carnage on the day of the bomb. She died in hospital from her wounds shortly after wards; another young couple who also went ahead with their planned marriage despite the bride’s loss of her two eyes in the tragedy; her mother was their strongest support throughout the early years – this mother has recently had to give up work to cope with her post traumatic stress disorder. This year the Australian Ireland Fund grant will assist Tara to cope with the extra demand for their services at this time. since 1991 has been bringing together Catholic and Protestant children, schools and their communities to develop mutual respect and understanding. Under Eamon McClean they work through the medium of Environmental Education, learning to respect each other and the world we share. Speedwell is based in Mid-Ulster, in a region known as Murder Triangle and cares for children from communities which are bitterly divided by sectarian violence and distrust. This year, the Australian Ireland Fund grant will assist Speedwell to focus and develop their “Reaching Out to Schools” community relations programme, which in line with the new Revised Curriculum of Northern Ireland, deals with current and relevant issues in society. In 2007 and 2008, Speedwell had over 5000 children in Northern Ireland and Border Counties booked to participate in this unique programme bringing Catholic and Protestant children and children of other faiths together to learn, to work and to form lasting friendships, and to develop the vital skills necessary for peace to flourish in Northern Ireland. was established in 1982, and the property 174/176 Antrim Road purchased which became the focus of a work dedicated to tackling many of the problems confronting the local community and addressing the real needs of those living in a materially and socially disadvantaged area. Past grants have enabled the repair and refurbishment of the main activities hall, now named Australia Hall. This year the Australian Ireland Fund grant will support the 174 Trust Disability Project to sustain and develop the vital cross-community youth aspect of the project. The project provides a social outlet for young people, Protestants and Catholics, with either a physical or learning disability and allows them to do what everybody else their age does – go to the cinemas, enjoy meals out and to have their own friends. This is an important point because the project benefits more than just those who attend – families get a break from time to time, and attend special events and activities. The lives of 380 people are improved every week because of this project, it also means that Protestants and Catholics from these families encounter one another when they otherwise would never meet someone from the other community. is an Australian initiative, is a drug and crime prevention vehicle in the form of a performing arts competition for secondary schools. The focus of this friendly and vibrant competition is on young people leading healthy lifestyles and being their best without the need for tobacco alcohol or other drugs. The event was established in the UK in 1996, and at that time involved 11 schools with 800 participants in Portsmouth. It has grown to the extent that in 2007, 17,000 students from 245 teams took part in 36 events throughout England, Scotland and Northern Ireland. Today, in Belfast alone, 8 schools took part and attracted 690 participants. Especially pleasing for 2008 was that Cambridge House Grammar School and Limvady Partnership Schools were both first time participants whilst Ballee Community School and Larkin Community College returned to the event. The Australian Ireland Fund is proud to support this initiative. NICE continues to provide a very important first point of contact for many young Catholics and Protestants. Recent statistics showed that seventy nine percent of the young people with whom NICE works had never met a Catholic or Protestant before doing so through NICE. Duncan Morrow, Chairman of the Community Relations Council, said at a recent conference “There is still so much to do here in Northern Ireland to secure a lasting peace for future generations. Our experience over the years has taught us that everyone living in Northern Ireland regardless of class, creed, or ability needs time to reflect on the violence and separation this community has endured if peace is to be lasting. This work is needed more so now than any other time”. This year the Australian Ireland Fund grant will assist NICE to continue and reach more people through its “Citizenship in a Divided Society Programme”. Four conferences were held in August of 2008, entitled “Education for a Shared Future”. They were carried out for teachers, classroom assistants and principals of Primary, and Post Primary integrated schools across Northern Ireland. The training days gave participants an opportunity to reflect on the ethos of integration, focusing on classroom practice and school development, and aimed to embed diversity and inclusion into all aspects of school life. Nearly 1,000 participants attended the events across four venues, representing 39 integrated schools. Michael Wardlow, NICIE Chief Executive Officer, said: “The tremendous response to this initiative demonstrates the importance teachers place on the permeation of the integrated ethos through all aspects of school life. The conferences further supported the development of relationships, between staff in a range of schools, so that real partnerships and learning can flourish”. Participants were given the opportunity to consider the contribution of their work as educators within an integrated school, towards a shared future, for students from all faith backgrounds, and none. Skills were shared in promoting positive attitudes towards diversity while highlighting prejudice awareness and the need to challenge bias in order to create safe spaces for young people to grow and learn. Various workshops were held throughout the day, giving participants a chance to sample practice to be developed in individual school environments, for example, restorative justice, forgiveness education, conflict management and anti-bullying. The Australian Ireland Fund and Sir Warwick Fairfax Trust were acknowledged on all of the agendas for the conference for its part in sponsoring the event.